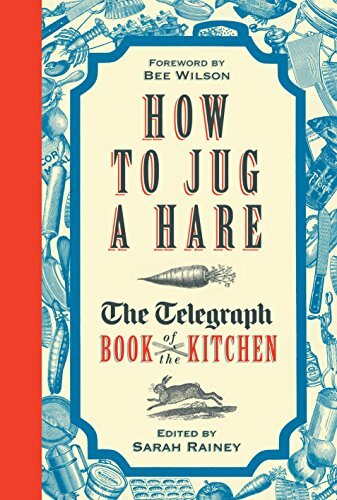 How to Jug a Hare: The Telegraph Book of the Kitchen est le grand livre que vous voulez. Ce beau livre est créé par Sarah Rainey. En fait, le livre a 336 pages. The How to Jug a Hare: The Telegraph Book of the Kitchen est libéré par la fabrication de Aurum Press. Vous pouvez consulter en ligne avec How to Jug a Hare: The Telegraph Book of the Kitchen étape facile. Toutefois, si vous désirez garder pour ordinateur portable, vous pouvez How to Jug a Hare: The Telegraph Book of the Kitchen sauver maintenant. The opening of the Savoy in 1889, with Auguste Escoffier at the helm of its kitchen, rang in the new era of the celebrity chef. Though food is intrinsic to our very existence, the public's interest was piqued and our pursuit of gastronomy has been on the rise ever since. Fortunately, The Telegraph has been there to document it. Trawling through the archives, features writer Sarah Rainey, has read through the great and the good as well as the more nostalgic recipes and culinary contemplations. Contributions from literary figures and their kitchens such as A.S. Byatt, sit beautifully alongside the slightly less erudite but equally wonderful entries that are a snapshot into the era they were written. The hidden gems of the past include interviews with 'up-and-coming' chefs including Richard Stein, producing the best of New British Cooking in Padstow, not to mention the flamboyant Egon Ronay extolling the virtues of the 'new' trend of coffee houses. Sometimes preventing hollandaise from splitting when you are sweating in a hot kitchen is just not worth it. So take some time out, sit down and read about what Mary Berry did before Great British Bake Off, how Heston Blumenthal wasn't the first person to make weird flavours of ice cream and the trade tips from the perennially progressive Elizabeth David. With a foreword by best-selling food writer from The Telegraph, this is a collection of all that we love about food from the archives of The Telegraph.